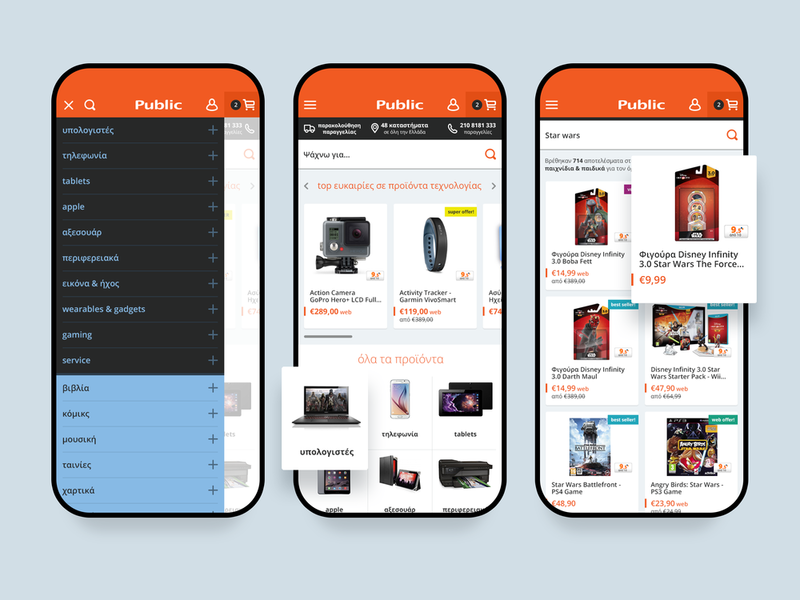 Public is the No1 destination for technology and entertainment products. Thanks to the beautiful shops, the up-to-date staff, the wide range of products, the services that add value to the consumer, they became a top favourite brand in Greece. Public approached our talented friends at niceandneat with a super-exciting request. Their plan was to embrace m-commerce and offer their entire catalogue to mobile phone users but their online presence at the point, was still in pre-mobile state. In collaboration with niceandneat, we worked on the mobile UX and UI, from zero to launched product, during the course of a three-month period. Mobile traffic has exploded in recent years and now constitute 30-50% of all traffic on many e-commerce sites. However, it’s not uncommon for mobile e-commerce sites to have a significantly poorer conversion rate than their desktop counterpart – in some cases converting fewer than half as many visitors into customers. 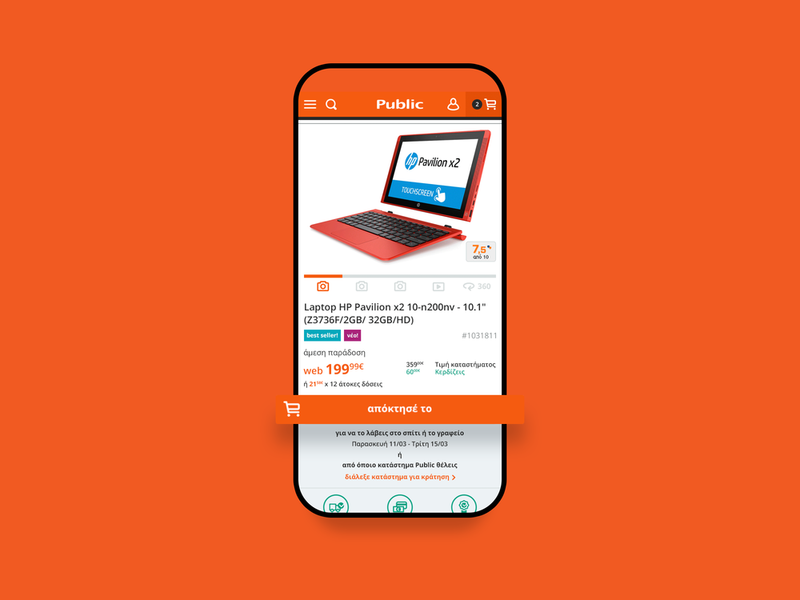 ¶ The still relatively new touch interaction methods and user behaviours introduce a whole host of pitfalls to watch out for when designing and running a mobile commerce site. ¶ A record number of shoppers are turning to their smartphones to research potential purchases. Meanwhile, the bigger question — are those same users willing to complete the purchases on their mobile device? — is quickly being answered. The US, for example, saw an 81% spike in mobile e-commerce (m-commerce) sales in 2012, comprising a $25 billion market. 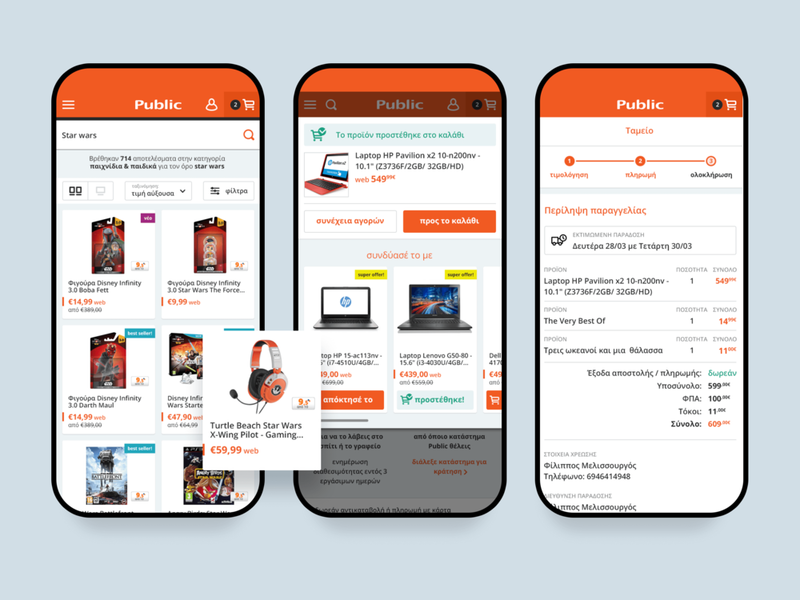 ¶ Luckily we have design guidelines on how to best design and structure a high-performing mobile e-commerce site, as well as documenting how end-users perceive and interact with mobile sites in a shopping context. Having in mind the given insights from Public.gr and combining our experience of a variety of e-commerse projects with design principles found in ‘The Visual Display of Quantitative Information’ by Edward R. Tufte, ‘Don't Make me Think’ by Steve Krug and ‘The Laws of Simplicity’ by John Maeda, and proven best practices from the past two years with the amazing results of the ‘E-Commerce Usability Research’ by Baymard Institute, we designed a friendly and easy experience for Public mobile website. Speed. Mobile users don't have a lot of patience and, if using 3G, might have a slow internet connection. Therefore speed is of the essence. Security reassurance. Research shows that many people are wary of entering card details on mobile, so retailers should make efforts to reassure their customers. We need to raise trust. Easy form filling. It's incredibly fiddly to fill in forms on a mobile, so sites should make it as easy as possible. 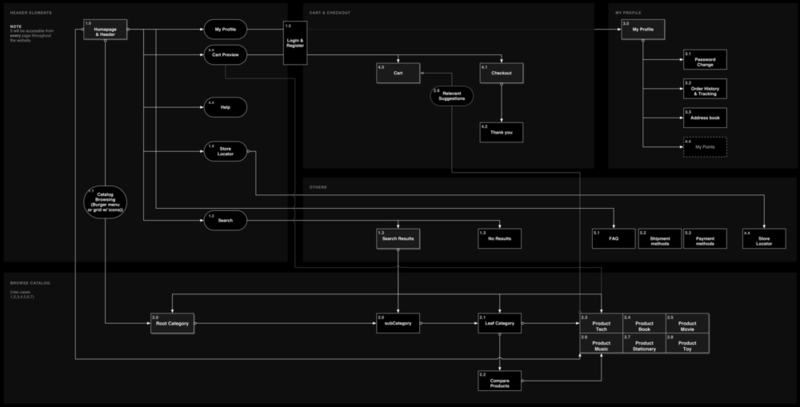 This means big textfields and big buttons. Remove distractions. In the event that someone actually wants to buy something on your mobile site it's a good idea to allow them to focus on the task in-hand, so remove all distractions and superfluous links. Proper use of search. A great mobile usability is to allow users to ‘search within' their current category (94% don’t). The lack of it seems to be the direct cause of site abandonments. Interestingly, this user behavior finding lies at the intersection between category navigation, filtering and search. Where am I? E-commerce sites need two (2) types of breadcrumbs (68% get it wrong). We need to provide both hierarchy-based and history-based breadcrumbs along with a simple product category-based navigation.